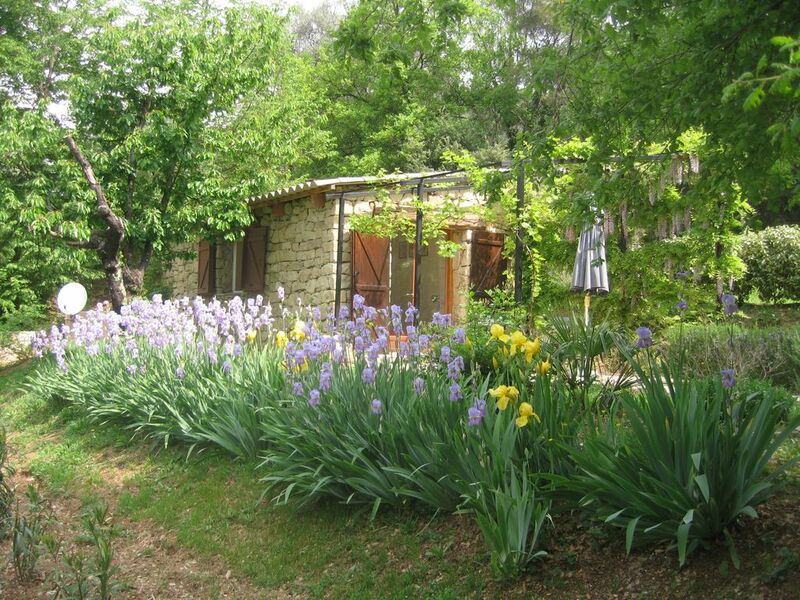 Rent pretty small Provencal stone house in the country, Sclos Tales, Tales town 25 km from Nice, in the hinterland of Nice, with direct access by penetrating. It is located on a plot of 2000 m2, completely independent and fenced. It overlooks a beautiful shaded terrace. It is 500 m away from the village square of Sclos de Contes (bar-restaurant, post office, pharmacy), and 4 km from the small town of fairy tales. Presence of TV and wifi. Its location allows access to the ski resorts (skiing and hiking) about 75 km to the Principality of Monaco to 20 km, to Italy to 30 km, and the stations of the sea. It consists of a living room with kitchenette, toilet and bathroom. Car access to the house. Endroit calme, avec vu merveilleuse. Petite maisonnette pleine de charme avec une jolie terrasse. Nous sommes ravis, les propriétaires sont bienveillants et à l’écoute, la maisonnette est charmante, au calme, ombragée, a noter que la voiture est indispensable.